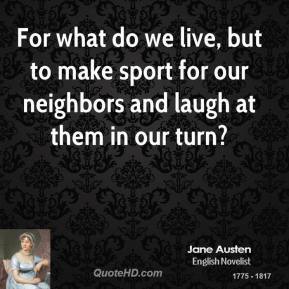 For what do we live, but to make sport for our neighbors and laugh at them in our turn? 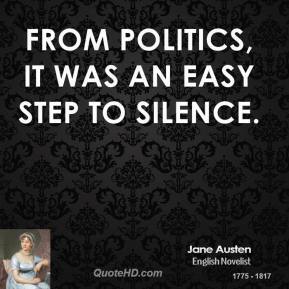 From politics, it was an easy step to silence. 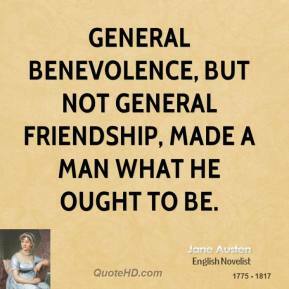 General benevolence, but not general friendship, made a man what he ought to be. 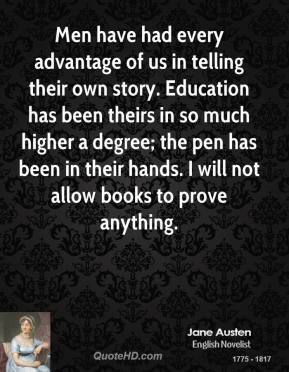 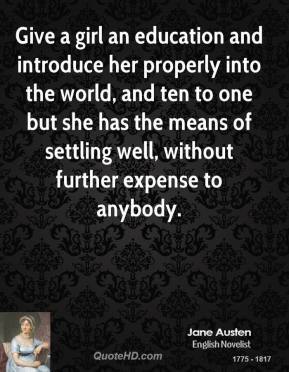 Give a girl an education and introduce her properly into the world, and ten to one but she has the means of settling well, without further expense to anybody. 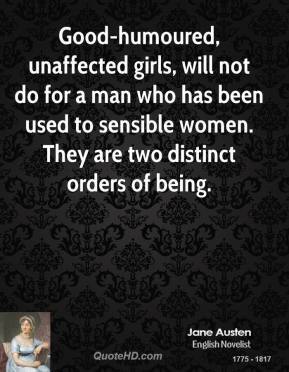 Good-humoured, unaffected girls, will not do for a man who has been used to sensible women. 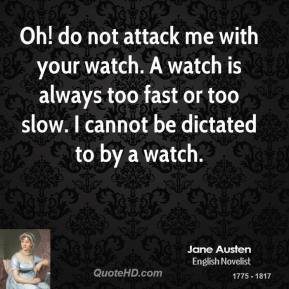 They are two distinct orders of being. 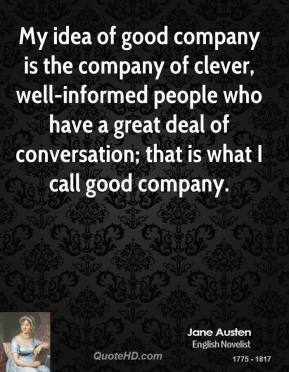 My idea of good company is the company of clever, well-informed people who have a great deal of conversation; that is what I call good company. 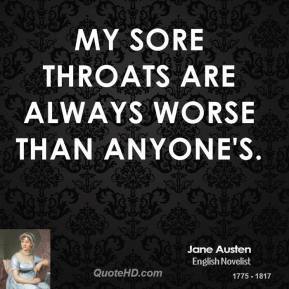 My sore throats are always worse than anyone's. 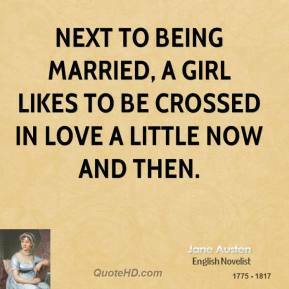 Next to being married, a girl likes to be crossed in love a little now and then. 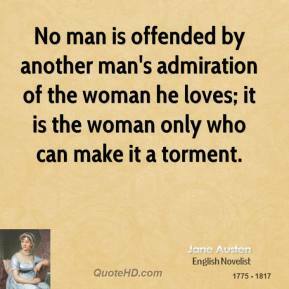 No man is offended by another man's admiration of the woman he loves; it is the woman only who can make it a torment. 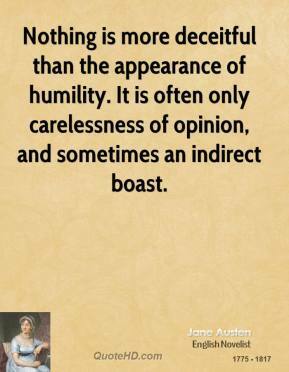 Nothing is more deceitful than the appearance of humility. 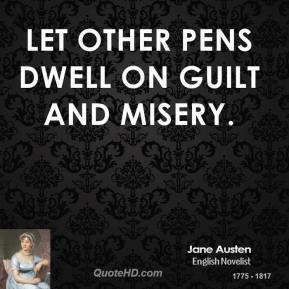 It is often only carelessness of opinion, and sometimes an indirect boast. 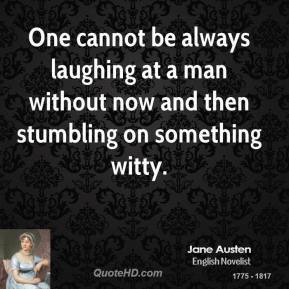 One cannot be always laughing at a man without now and then stumbling on something witty. 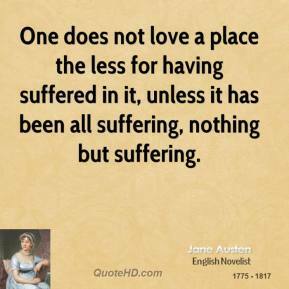 One does not love a place the less for having suffered in it, unless it has been all suffering, nothing but suffering. 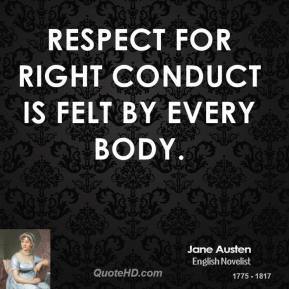 Respect for right conduct is felt by every body. 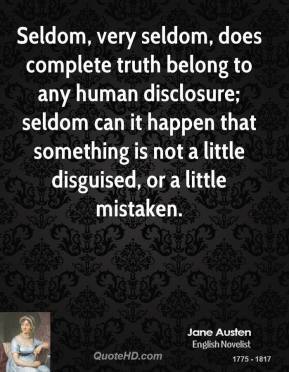 Seldom, very seldom, does complete truth belong to any human disclosure; seldom can it happen that something is not a little disguised, or a little mistaken. 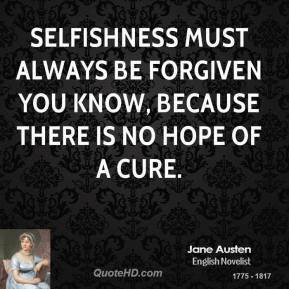 Selfishness must always be forgiven you know, because there is no hope of a cure. 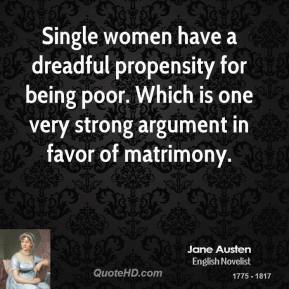 Single women have a dreadful propensity for being poor. 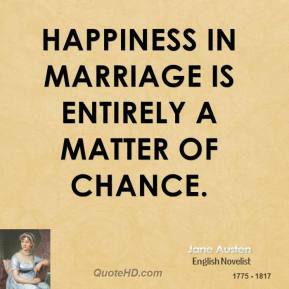 Which is one very strong argument in favor of matrimony. 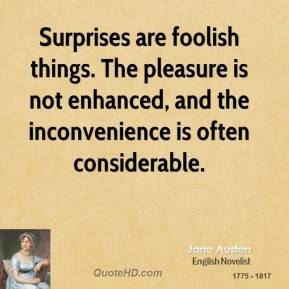 Surprises are foolish things. 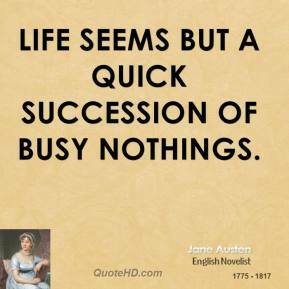 The pleasure is not enhanced, and the inconvenience is often considerable. 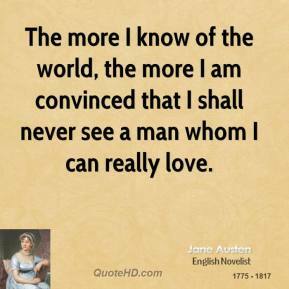 The more I know of the world, the more I am convinced that I shall never see a man whom I can really love.